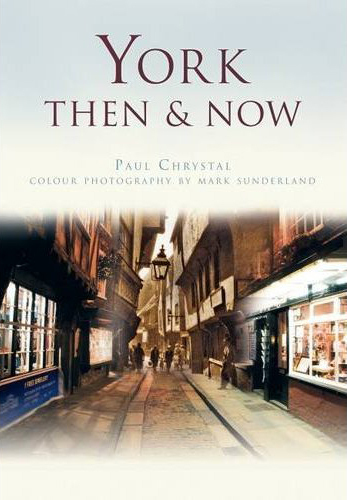 The new book York Then & Now by Paul Chrystal and Mark Sunderland is now available from History Press, featuring archive photographs alongside modern equivalents. The city of York is one of England’s most historic and best preserved cities, which is uniquely reflected in this fascinating new compilation. Contrasting a selection of ninety archive images alongside full-colour modern photographs, this unique book captures how the city used to be and how it looks today. Accompanied by informative captions, each page captures life in the area as it once was – and is now. Featuring streets and buildings, shops and businesses, and the people of York, all aspects of life in the city are covered, providing a fascinating insight into the changing face of the city.